Orissa is a magnificent place that has a lot to offer to the tourists. 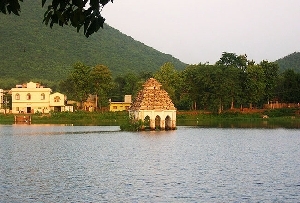 Amongst others, the Lakes and Rivers in Orissa are huge tourist attractions. Amongst the several lakes of this region, a place that you should not miss to visit is Chilka Lake, Orissa. Chilka Lake of Orissa is the largest inland salt-water lagoon of Asia. Studded with small islands that include the Honeymoon Island and Breakfast Island, Chilka Lake is alienated from the Bay of Bengal by a sandy ridge. The pear-shaped Chilka Lake stretches across 1,100 sq km. 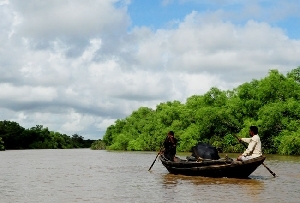 It has a unique ecosystem and a wide variety of aquatic flora and fauna can be seen in and around its brackish waters. A remarkable array of bird life, both migrant and native, makes Chilka Lake one of the best places in India for the avid bird watchers. Greylag geese, white bellied sea eagles, purple moorhen, jacana, flamingos and herons are among the many species which can be seen at Chilka Lake. In fact, Chilka Lake of Orissa plays home to one of the world's biggest breeding colonies of flamingos. Other than the birds, the shores of Chilka Lake in Orissa, India are home to golden jackals, blackbuck, spotted deer and hyenas. This lake is also rich in aquatic life and its waters harbor almost 160 species of fish, crustaceans in addition to some other marine creatures that include the famous Chilka dolphin. Crab, prawn and mackerel fishing are a significant source of livelihood for the local people. Every morning, hundreds of small fishing boats set sail to get the day's catch from this lake. So, if you want to observe all these and more, come to Chilka Lake, Orissa during your Tour to Orissa. It would be an invigorating experience for sure!